International Women's Day on Tuesday is all about better education and better jobs for women. That includes one job in particular: Secretary-General of the United Nations. It is the UN's top post and no woman has had that post. The UN was founded in 1945, and has had eight male secretaries-general. A woman secretary-general, says Congresswoman Carolyn Maloney of New York, "would serve as a powerful symbol to the approximately 3.6 billion people in this world who are women." Ban Ki-moon of South Korea has said he will give up the secretary-general post at the end of the year. He has been secretary-general since 2007. 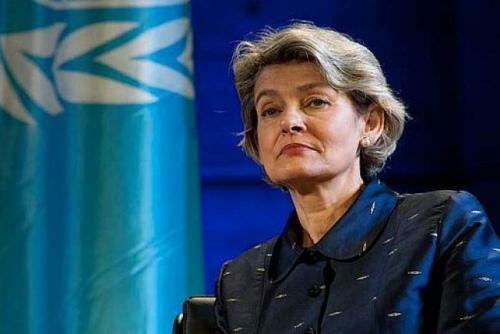 Among the candidates to replace Ban are three women, Irina Bokova, now director-general of the UN Organization for Education, Science and Culture; Natalia Gherman, deputy prime minister and minister of foreign affairs of Moldova; and Vesna Pusic, first deputy prime minister of Croatia. Male candidates include Danilo Turk, former president of Slovenia, and Kevin Rudd, Australia's former prime minister. The Financial Times recently wrote that German Chancellor Angela Merkel might be a surprise candidate for secretary-general. Jeane Krasno is chair of the group Campaign to Elect a Woman UN Secretary-General. Krasno said she will observe International Women's Day in New York. An event there will recognize important work women do for the UN. That includes providing food, housing and security for families during famines and armed conflicts. "The argument has been in the past that there aren't enough qualified women to choose from," Krasno told VOA. "That argument no longer holds water." She said her group has identified 38 women with "incredible experience, achievement and qualifications." The United Nations tends to select secretaries-general on a rotating basis to make sure each world region gets a person in the top UN job. For this election, the UN is said to be looking at an official from Eastern Europe, according to multiple news reports. "If that argument is valid, what about representation for women who make up over half of the world's population?," Krasno asked. Krasno teaches political science and international relations classes at Yale University, Columbia University and the City University of New York. The director stressed that point in particular. At the end of the concert, the audience stood and clapped. Where do you see the change of emphasis since you and the new director-general arrived? No single nation can or should shoulder the burden for managing or resolving the world’s armed conflicts. 1.A woman secretary-general, says Congresswoman Carolyn Maloney of New York, "would serve as a powerful symbol to the approximately 3.6 billion people in this world who are women." Animals may serve as a vehicle for viral transmission. A life-insurance policy may serve as security for a loan. 2. "If that argument is valid, what about representation for women who make up over half of the world's population?," Krasno asked. He leans over backwards to make up for what he has lost.